Test you knowledge with this Engineering Brain Teaser. In this Brain Teaser four tabs are shown with the different pipes shapes. 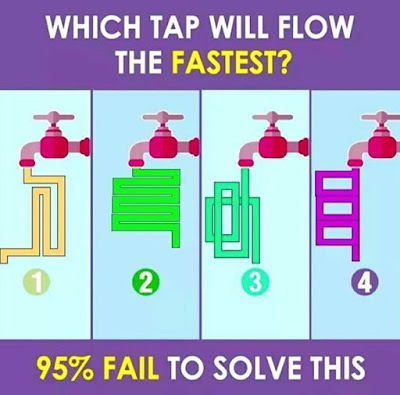 Your challenge is to tell which tap will flow the fastest? 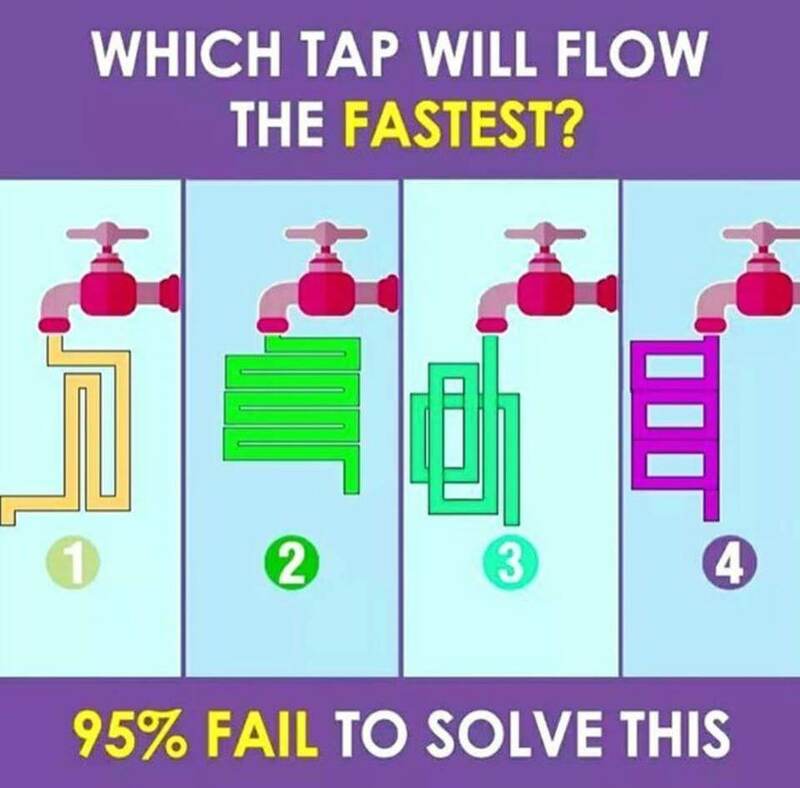 Can you tell which tap will flow fastest? Answer to this "Engineering Brain Teaser for students", can be viewed by clicking on button. Please do give your best try before looking at the answer. The Answer is on hold to encourage discussion. Please do post your answer in the comments section of this post.